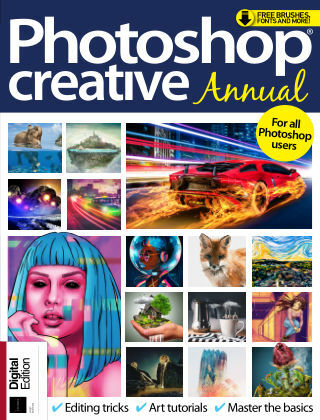 With Readly you can read Photoshop Creative Annual and thousands of other magazines on your tablet and smartphone. Get access to all with just one subscription. New releases and back issues – all included. 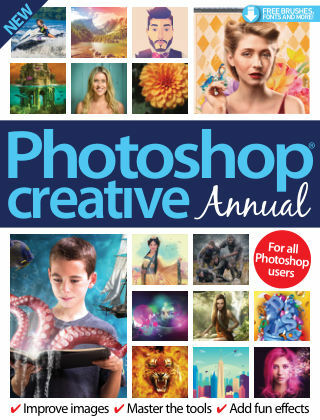 Whether you’re a beginner using Photoshop Elements or an experienced Photoshop user, this book includes step-by-step guides that will both teach you the basics and challenge you to get more creative. Follow the tutorials and master essential techniques on how to edit your photos, manipulate images to make surreal masterpieces, and create striking paintings and illustrations. 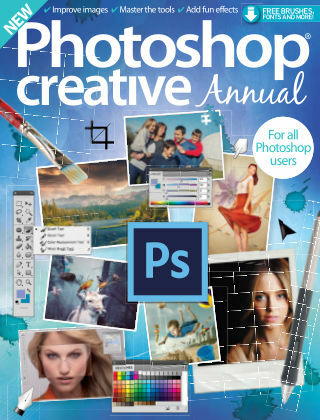 Featuring: Photoshop basics - Get to grips with the most essential tools by making practical projects. Photo editing - Discover the retouching skills you need to perfect your photos. Surreal art - Master the art of photomanipulation and learn to composite fantasy scenes. Digital art - Practise digital illustration and painting techniques to make striking masterpieces.